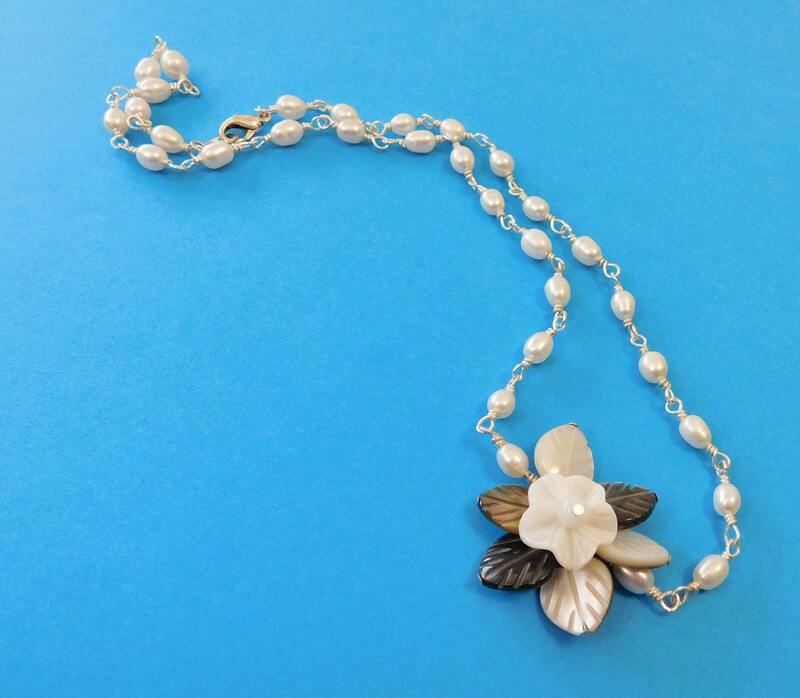 This strand of individually hand wired fresh water pearls is adorned by a hand crafted shell flower with carved green jasper leaves, set off center. 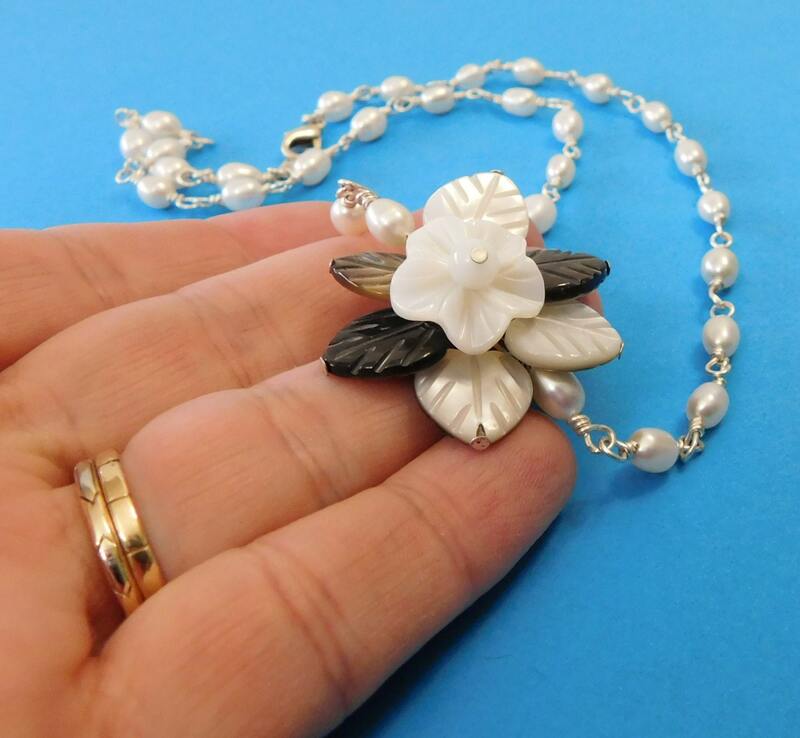 The flower can be worn centered if desired. 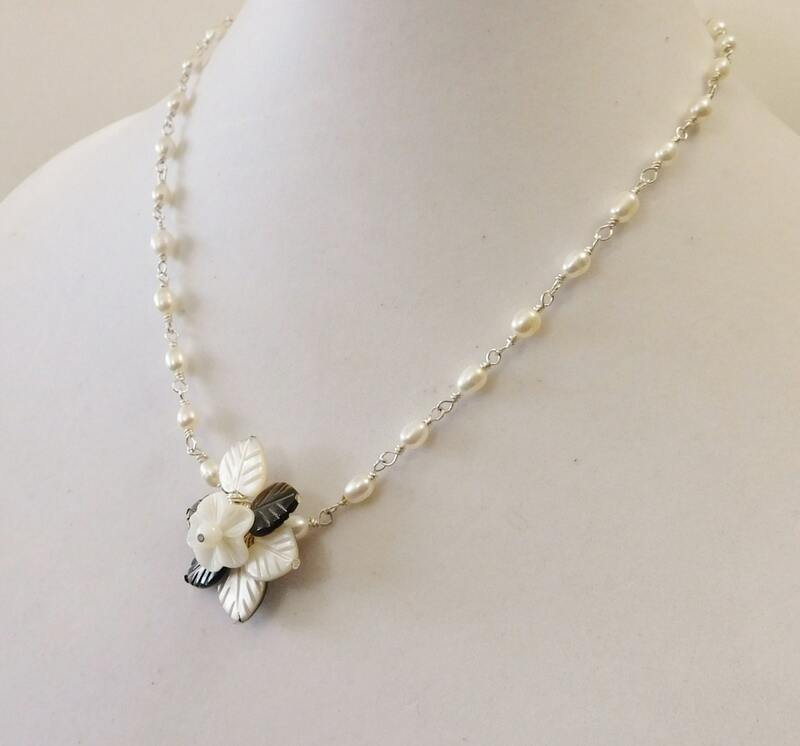 You will find that this necklace will remain beautiful and fresh looking for years to come. 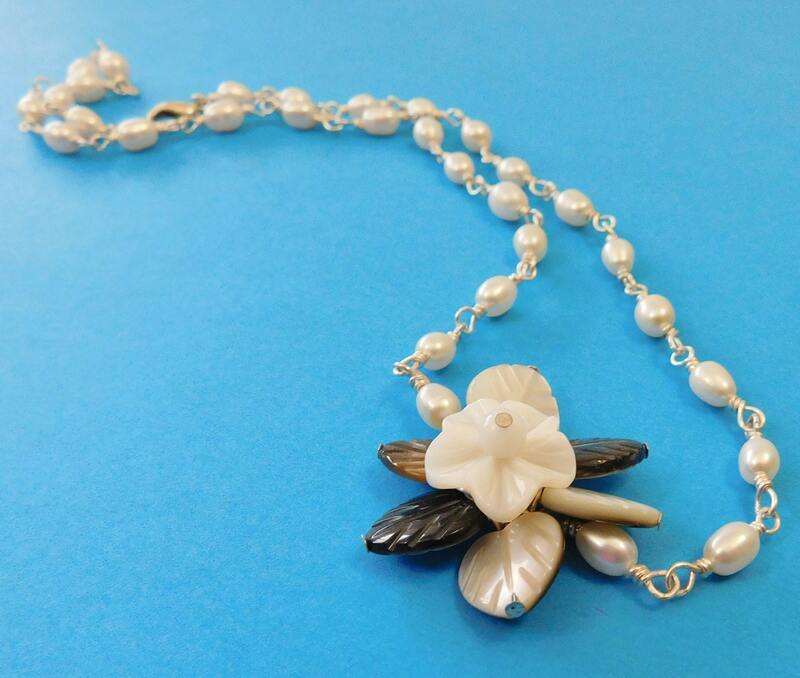 The necklace is 19 inches in length, including flower, and closes with a lobster claw clasp.